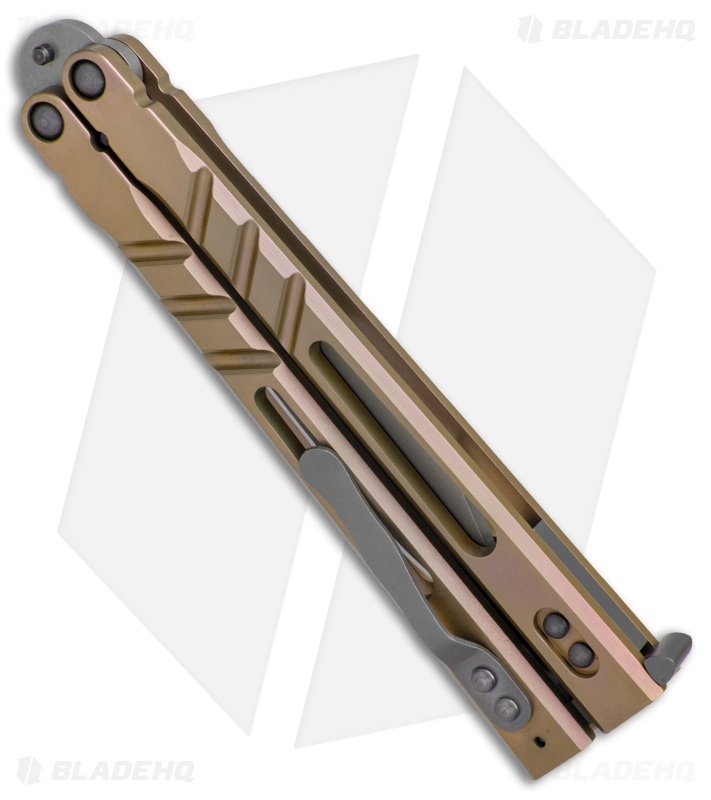 This Premium Alpha Beast has bronze anodized titanium handles, a titanium pocket clip, and a standard blade. The Alpha Beast is not only the flagship model for BRS, but possibly the front runner for the balisong flipper community. 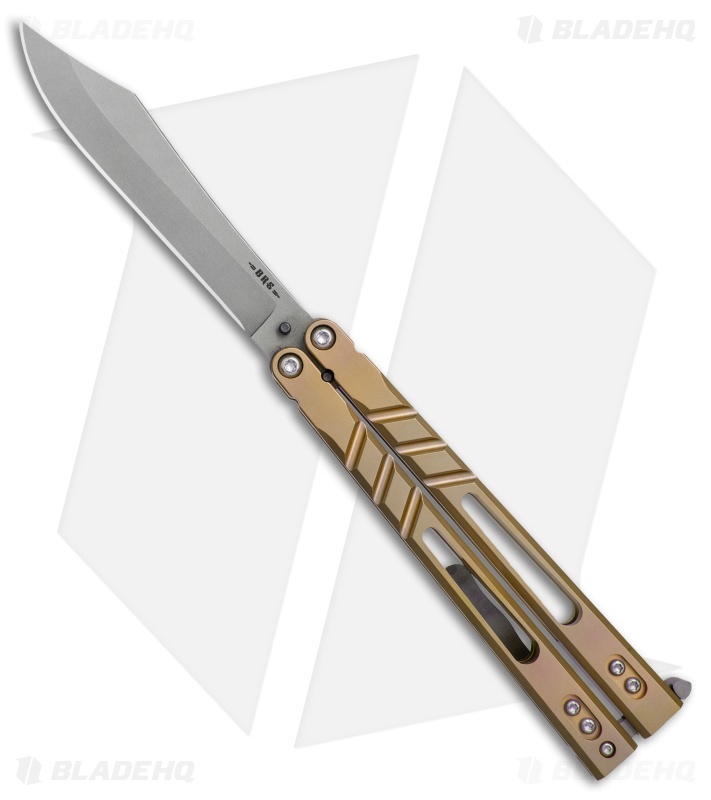 This precision machined butterfly knife features perfectly balanced titanium handles with robust pivots tuned for easy manipulation. 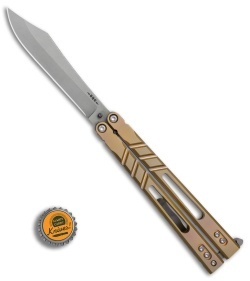 It comes equipped with a stonewashed 154CM blade with dual tang pins and a crowned spine. 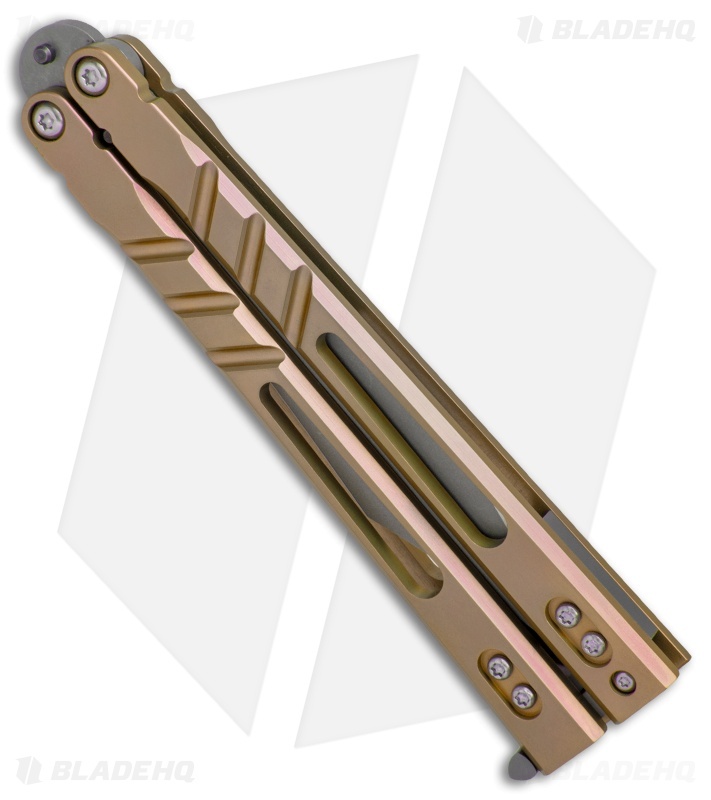 BladeRunnerS Systems (or -=BRS=-) is a company founded by balisong manipulators and knife/gear enthusiasts. Their mission is to produce high performance balisongs and gear with a design philosophy centered around performance, precision and quality. "For us it has to be right and has to flip right, we are performance grade, competition ready, battle tested...and looking forward to earning your business." Click HERE to see the BRS Alpha Beast Kydex sheath in stock. Please Note: After break-in period and tuning, please maintain pivot screws with thread locker. As with all Balisongs, we recommend checking the screws regularly.